Creating your own home herb garden is not only a healthy hobby but also a whole lot of fun, and in today’s hurried world – an easy and relaxing luxury. Just the mere act of gardening, from planting to harvest, is a great mood enhancement all by itself and herbs are one of easiest plants to grow and maintain, even so called brown thumbs can grow herbs. They have been used for centuries as a flavor enhancement to food, for their fragrance, and used for medicinal purposes like weight loss, anxiety, depression, and high blood pressure, while some are simply grown as ornaments. Herb plants also make for great and lasting gifts. We’re here to assist you in developing and/or maintaining your home herb garden. What is the difference between herb and a spice? Essentially any plant whose leaf is used to enhance cooking, either by flavor and/or aromatics, is considered an herb, whereas if any other part of the plant is used, such as the seeds, roots, bark, etc., then it’s a spice. There are over two hundred different types of culinary herbs grown around the world and while herbs can be enjoyed either fresh or dried, spices are virtually always dried. Both herbs and spices are rich in antioxidants, and studies suggests they also effectively inhibit tissue damage and inflammation caused by high blood sugar. Many of the herbs we use today in cooking were originally used centuries ago as medicines. They were dried and kept so they could be used year round. When it comes to food, everything tastes better with fresh herbs added to meats, soups, and vegetables. There are many types of herbs to choose from that work well around any kitchen; parsley, basil, oregano, chives, cilantro, dill, mint, tarragon, thyme, sage, and rosemary are amongst the most popular. Some are perennial, some are annual, and some are bi-annual, but all are easy to grow, whether outdoors or indoors. Here you’ll find information and tips on how, when, and where to grow your herbs including hydroponics. For a large selection of herb gardens products click on Store & Supplies and remember herb gardens make great gift ideas. And don’t miss our FREE herbal secrets eBook. Please check back with us often as we will be updating regularly. If you have any comments, questions, or suggestions please contact us. 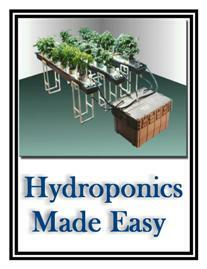 Learn just how easy Hydroponic Gardening can be. Click on image above for Immediate Download. Don't miss out! Get The Definitive Guide To Natural Herbs Here! Learn how to plant, grow and cook with natural herbs. Click image above for Immediate Download. Get your copy of our FREE Herbal Secrets eBook here! We hate Spam too! We will not share your information with anyone. Copyright © 2009 The Home Herb Garden. All Rights Reserved.